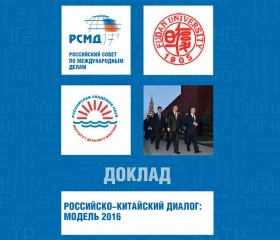 On May 30-31, 2016, Russian International Affairs Council (RIAC) held the Second International Conference titled �Russia and China: Taking on a New Quality of Bilateral Relations�. The event was supported by the Executive Office of the Government of Russia and the Ministry of Foreign Affairs of Russia. The Conference brought together senior officials, academics, experts and representatives of businesses from Russia and China. In addition, the discussion attracted experts from the EAEU and EU member states, Japan, the Republic of Korea, India, the US and Australia. The participants discussed the current state of Russia-China relations and put forward their proposals on promoting interaction between the two states in many areas. Developing global governance institutions, trade, investment, education, science, culture and media ties as well as furthering the strategic alignment of the EAEU and the SREB, and improving/strengthening security in Northeast Asia were part of the agenda. The main observations and recommendations are outlined in the Conference Report. You may also share your feedback on the event at the Conference Page. Please save the date of May 29-30, 2017 for RIAC�s Third International Conference focusing on Russia-China relations. 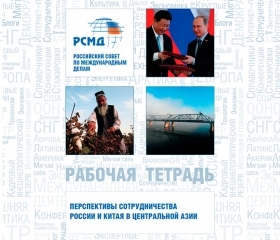 We would appreciate your recommendations on the priority topics for discussion (email: china@russiancouncil.ru). Follow RIAC�s activity on Russia-China cooperation!